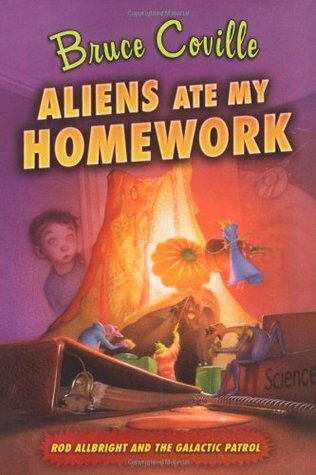 Aliens Ate My Homework. ISBN-10: 1416938834. ISBN-13: 9781416938835. Author: Coville, Bruce Illustrated by: Coville, Katherine Interest Level: 4-7. Publisher: Simon & Schuster Children's Publishing Publication Date: May 2007. Copyright: 2007. Page Count: 192. Series: Rod Allbright And The Galactic Patrol.